The last month has been very busy, to say the least. Elena had her last day of child care for the year on 20 December and has been at home with us ever since. We love having her with us every day, but she’s such a busy bee and really thrives on the interaction and extension she gets from child care. She has really been missing her playmates. Add in Christmas, a new baby, getting our apartment ready for sale and stinking hot weather, and we’re all ready for a break! Elena is starting at a new child care centre in February, so we’ve been taking her along to play and acclimatise to the new environment. Today, Alex took her along for an hour or so. I managed to get Hugo’s sleep timed perfectly. Some time for myself – hooray! I got so much done in the hour and a half they were out: a batch of zucchini muffins baked, more strawberry ice blocks in the freezer, a load of washing done, and a batch of triple chocolate biscuits. Whew! I forgot what it’s like when you just have a newborn who likes to sleep. I’m used to the constant help of an overly-inquisitive toddler. Never mind the fact that I completely failed to remember breakfast or a shower. I’ve been meaning to try out these triple chocolate biscuits for quite a while, and I’m finding I need something small to snack on while I’m breastfeeding. I am breastfeeding two little ones, after all. Perfect opportunity! The recipe is from the back of the White Wings gluten free plain flour packet. I’ve tried to find the recipe online but it doesn’t appear to have made it onto their website. I found it to be a slightly curious recipe – more a ‘melt and mix’ type recipe than the ‘cream the butter and sugar’ type that I’m accustomed to. Despite by skepticism, it worked remarkably well. 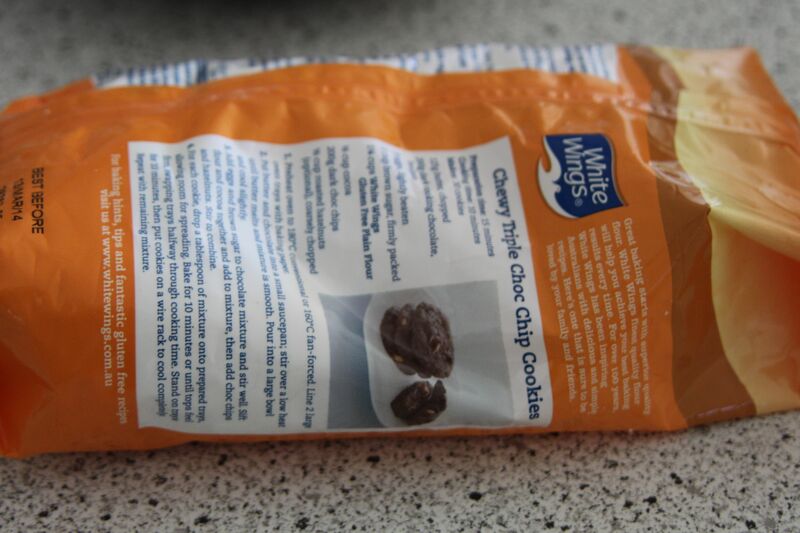 I like that I could make these biscuits by hand – no need to drag my mix master out onto the bench! Next time, I might well reduce the sugar down to 1/2 or 3/4 of a cup. They’re very sweet. You could also add some white chocolate chips for variety, and switch around the type of nuts used too. I added 1 teaspoon of psyllium husks at the same time as the flour. Preheat oven to 180°C conventional or 160°C fan-forced. Line two large oven trays with baking paper. 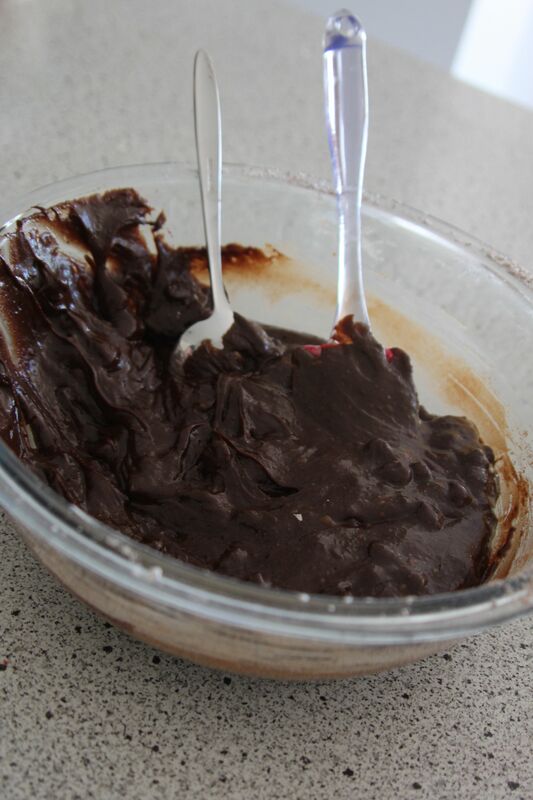 Put butter and cooking chocolate into a small saucepan; stir over a low heat until butter melts and mixture is smooth. Pour into a large bowl and cool slightly. 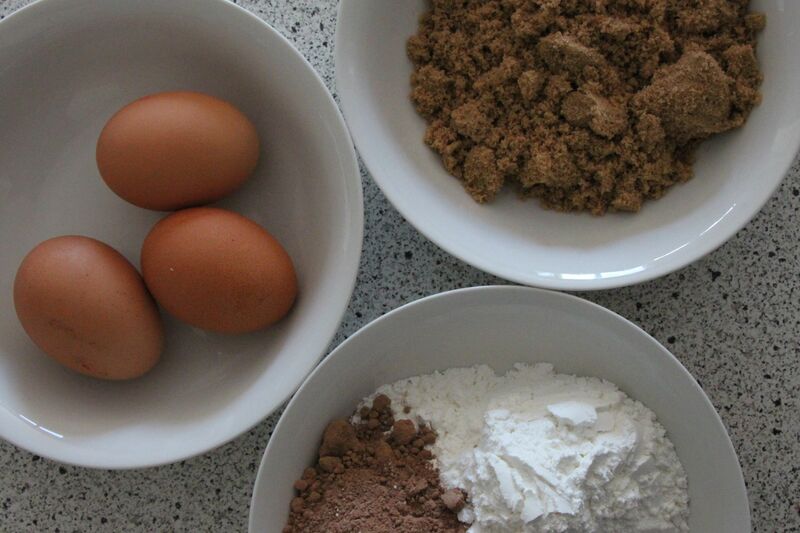 Add eggs and brown sugar to chocolate mixture and stir well. Sift flour and cocoa together and add to mixture, then add chocolate chips and nuts. Stir to combine. 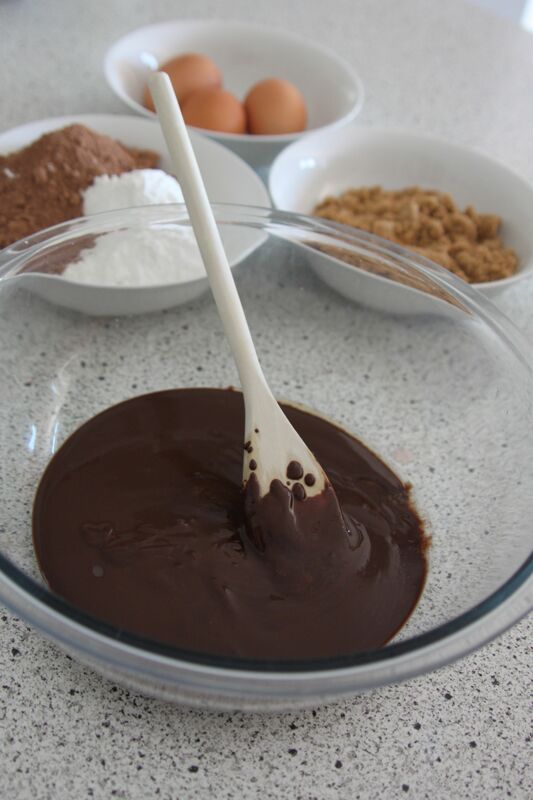 For each cookie, drop a tablespoon of mixture onto prepared trays, allowing room for spreading. Bake for 10 minutes or until tops feel firm, swapping trays halfway through cooking time. Stand on trays for 10 minutes, then put cookies on a wire rack to cool completely. Repeat with remaining mixture. Recipe courtesy of White Wings. 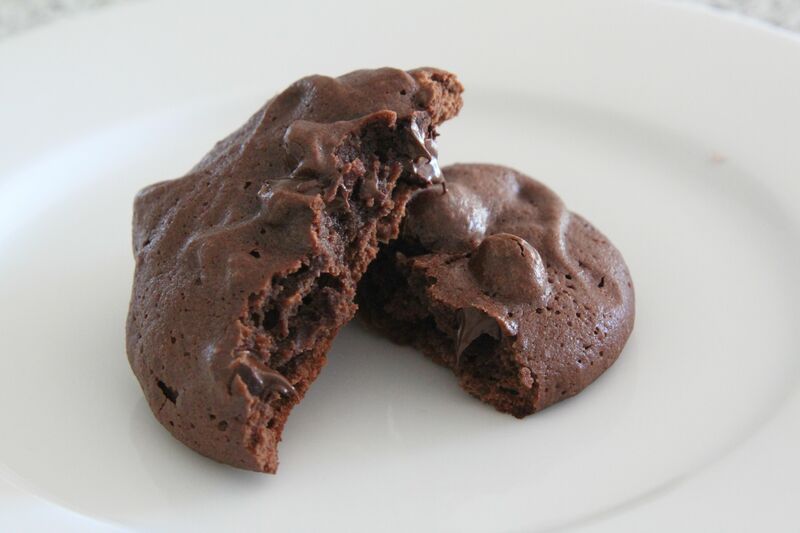 This entry was posted in baking, breastfeeding, gluten-free, recipe, sweet. Bookmark the permalink. Two kids is soooo much more than just double the work when you have one. I am so impressed you got all of that done in your hour and a half. I can see I’m going to have to be super organised to survive the next few years with my sanity intact!